Yuusuke finds himself being chased everywhere by Midori, who claims to be his love from another life. The mysterious Reika, however, seems dedicated to keeping the two of them apart. Tenjin has his eyes on the sickly Sanae, but his brutish attitude terrifies her. 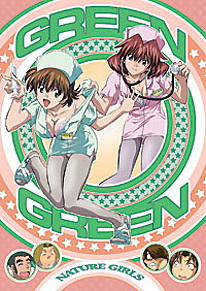 When Tenjin's gift-giving goes strangely awry, Sanae ends up in the infirmary with her pill case missing. Midori decides to take a chance and use her powers to help Sanae, but Yuusuke is right beside her.